Large 5716m2 block with 3259m2 (approx.) of Flood Free development. Potential for six 420m2 (approx.) blocks in the quieter neighbourhoods of Slacks Creek. 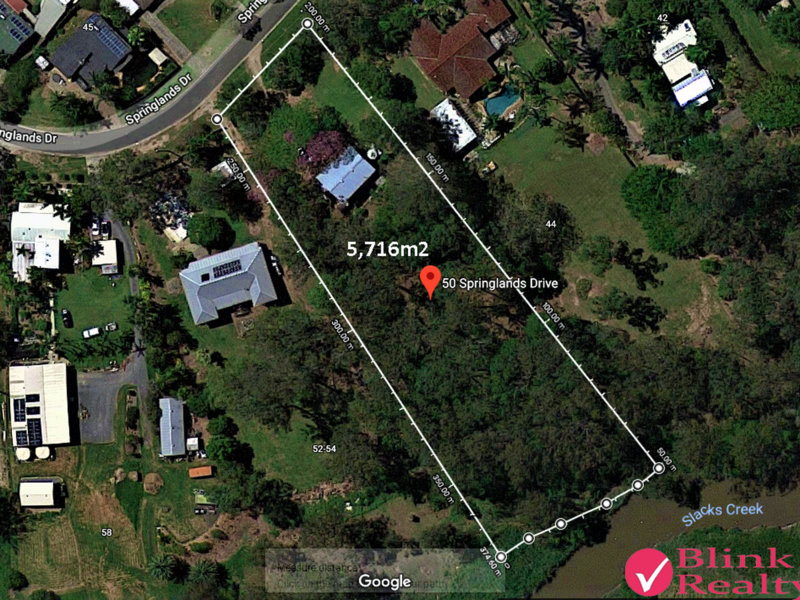 Nestled in a quiet street, this block represents a perfect opportunity to mix sub-urban and quiet country living in a natural surrounding and beautiful nature views.
. Quick access to the M1 (Pacific Motorway).
. Minutes from the Loganlea and Loganholme TransLink Bus stations.
. 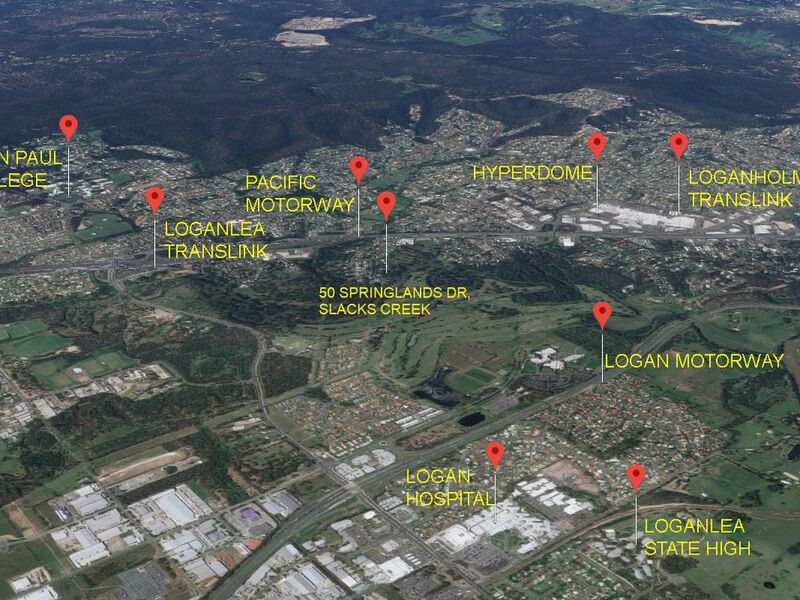 Within 30 of Brisbane and the Gold Coast.
. Minutes to the Logan Hyperdome, Event Cinemas and Restaurants and many takeaways.
. Free standing house with 3 bedrooms, one bath, separate toilet, one car garage underneath with laundry.
. Building requires maintenance and some renovations to bring back to life.